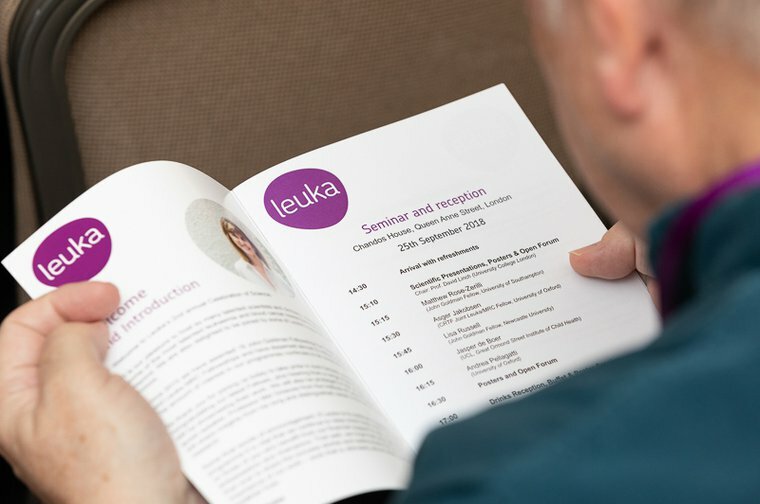 Well, our attendees seemed to enjoy it last year, so on 25th September, Leuka went ahead and held our 2nd annual Celebrating Science Seminar and Reception in central London. Our John Goldman Fellows, new and returning, were invited to present posters of their projects to all assembled, which included some of the best and brightest of the UK's leukaemia, immunology and blood cancer research talent, as well as our Key Note Speaker, Professor Mel Greaves from the Institute of Cancer Research in London. Our fabulous researchers, mingled, questioned, chatted and discussed their work, many meeting for the first time, and with our early-career clinicians seeming to appreciate the interest and feedback from the likes of Professor Greaves and Leuka Patrons, Professor David Linch and Professor Edward Gordon-Smith. We think we may have even spotted the beginning of a beautiful collaboration or two! Several of those further into their research (including MRC & Leuka joint research fellow Dr Asger Jokobsen from University of Oxford) gave short talks about their findings to date, before the keynote address, which saw Professor Greaves sharing insights from his long and distinguished career dedicated to unraveling the causes of childhood leukaemia. It was a fascinating evening, seeing Leuka donors' money being transformed into new knowledge about leukaemia and new approaches to fighting this and other blood cancers, firsthand. We look forward to bringing you, our supporters, more updates on this important work very soon! Please donate here to support more researchers like these in their battle against Leukaemia.